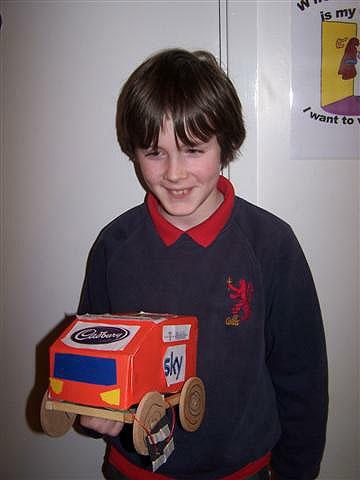 Ready Steady Go! 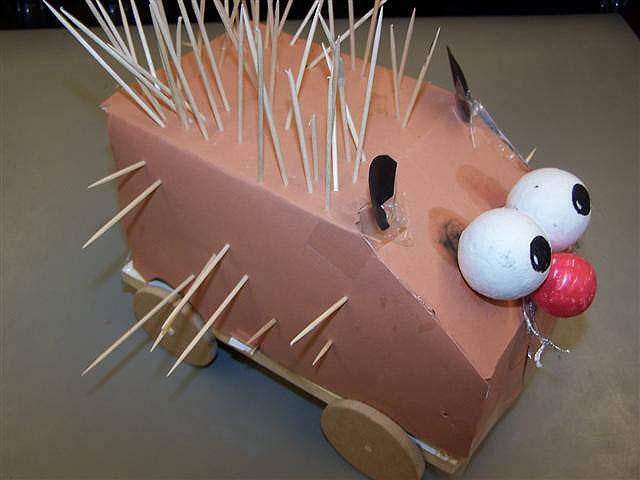 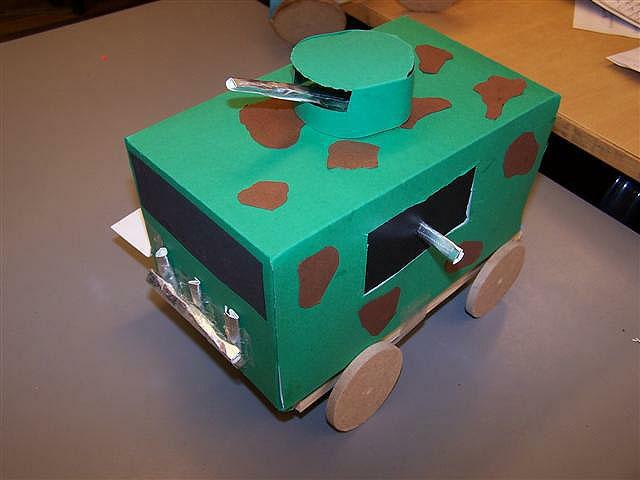 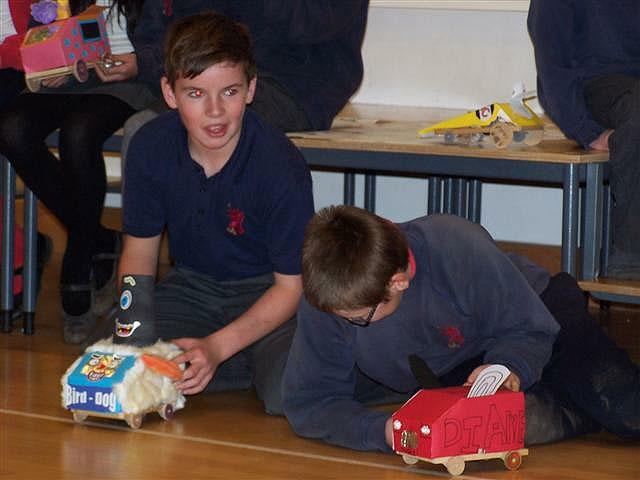 Rapidly, what seemed like millions of small wooden vehicles zoomed on into the distance- everybody was tense the racers, the audience, even the teachers. 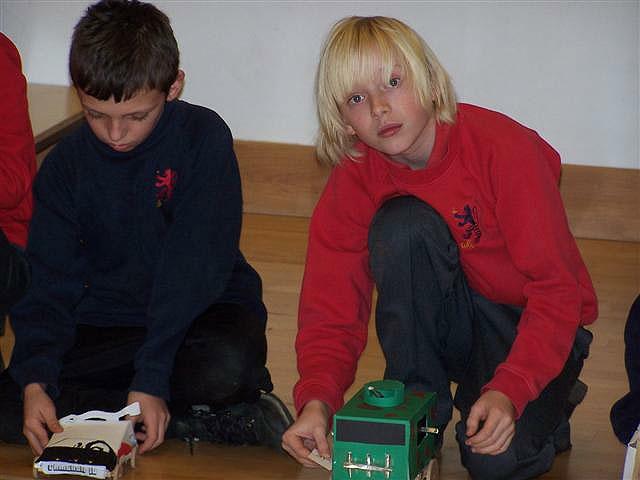 There where thirteen different races: 6K class race, 6M class race, 6L class race, class final races and the grand final race. 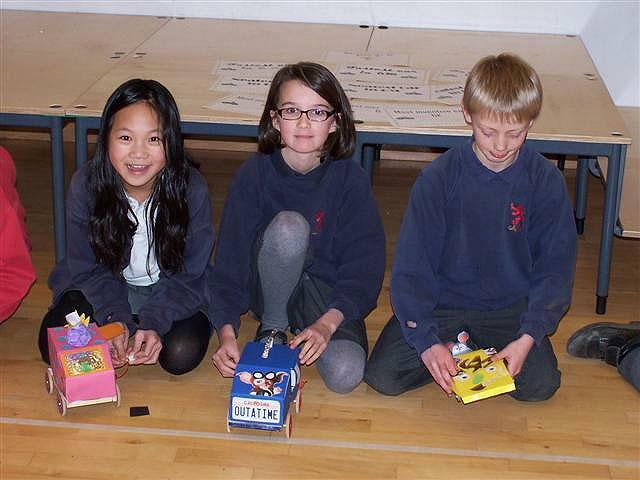 The final race: 4 different players all gathered up behind the starting line. 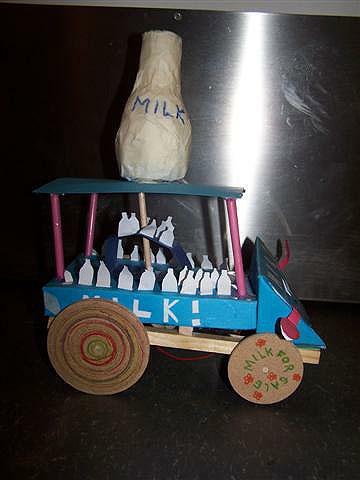 They set off, just one car sped along into the distance and. 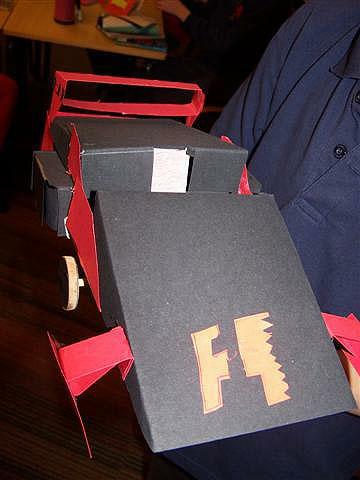 It touched the finish line. 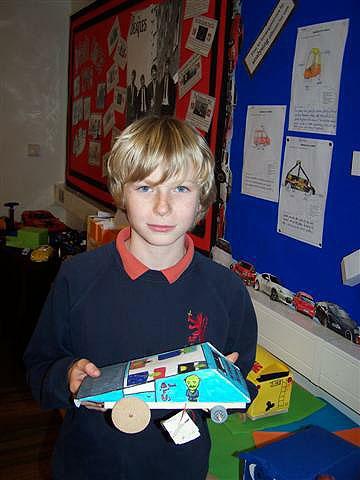 The proud owner of the car, Ali Highmoor, rushed to the finish line and collected his car and sped along celebrating his victory. 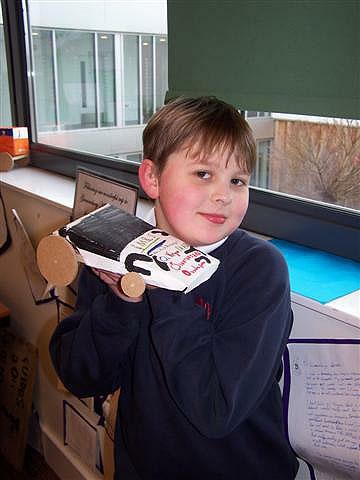 As well as that, it wasn’t just the fastest car. 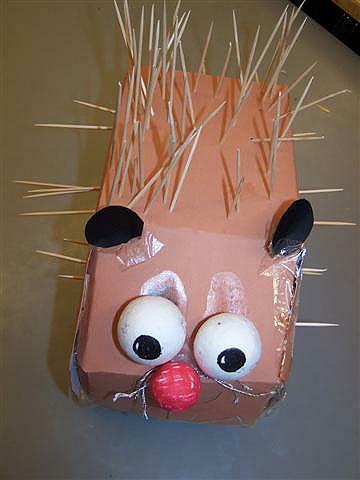 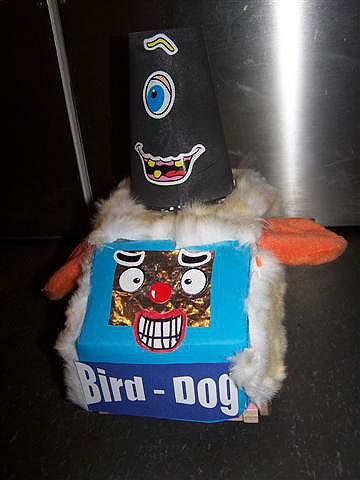 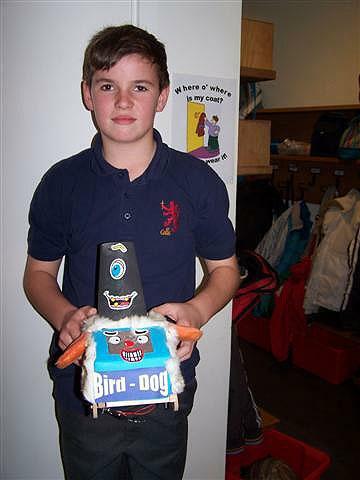 Two other awards were presented (neatest and most inventive). 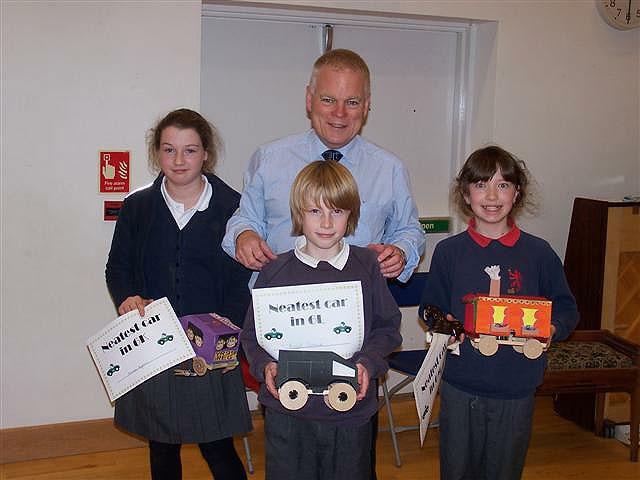 Two people from each class could win one of those categories. 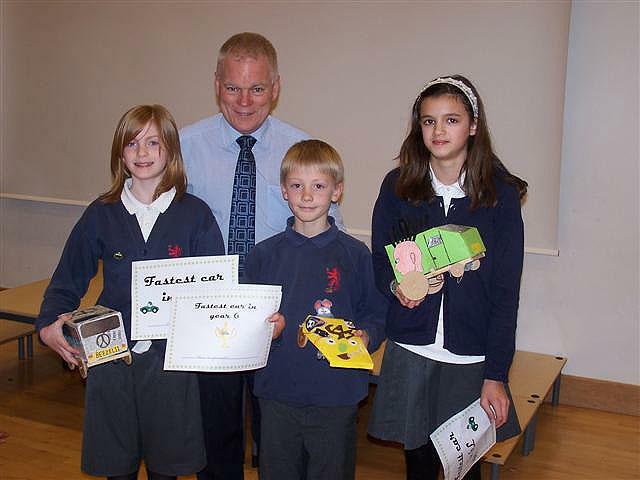 After intense decisions made by the teachers, the head teacher then took to the stage to present the awards. 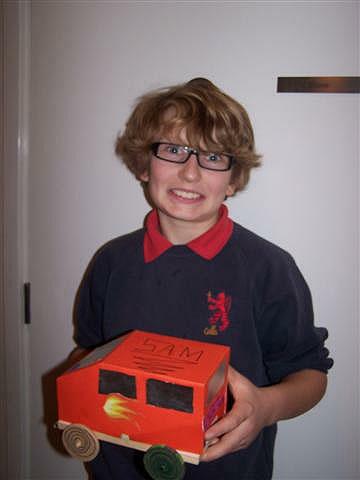 The winner Ali 6K of course had a few words to say And he proclaimed, “I am amazing” clearly startled by his 1st place certificate. 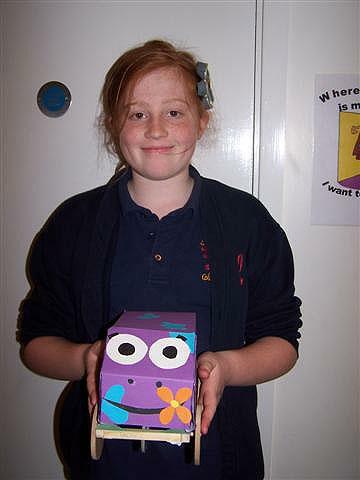 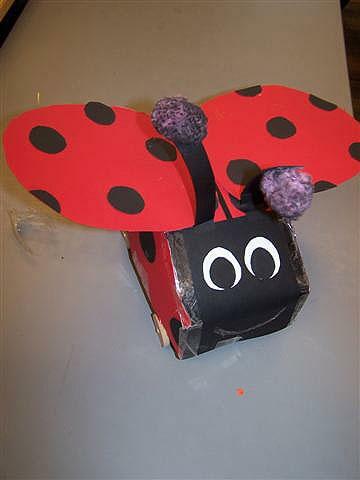 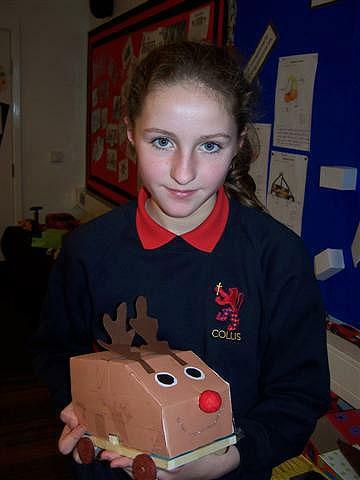 Runner up Philippa (6M) had a very basic design with no net (due to technical issues with the net on) said,” I didn’t think it would win because before the race it wasn’t actually working”. 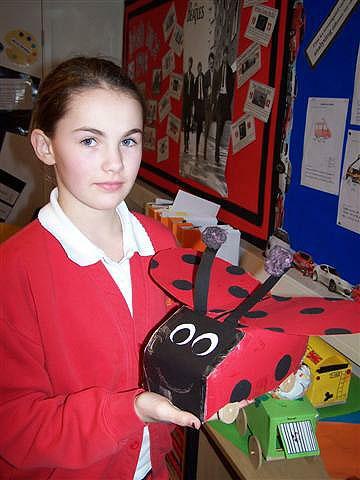 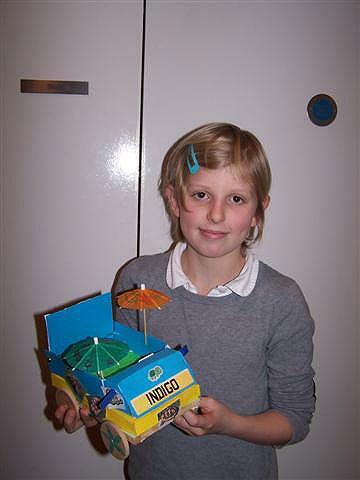 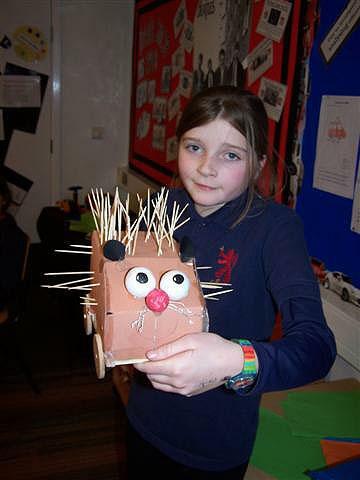 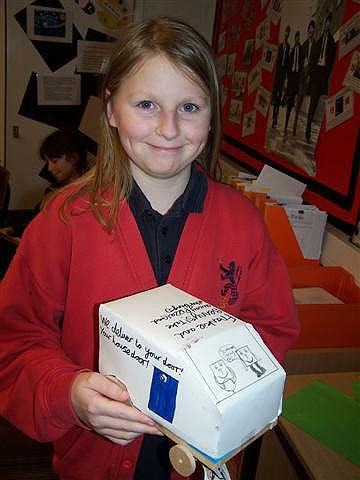 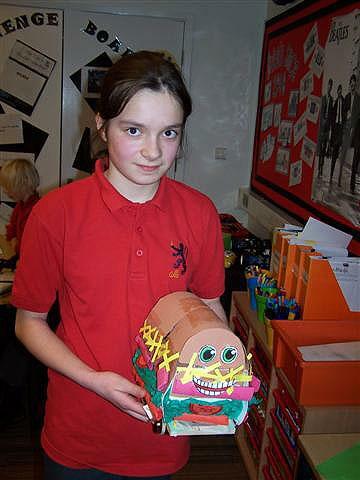 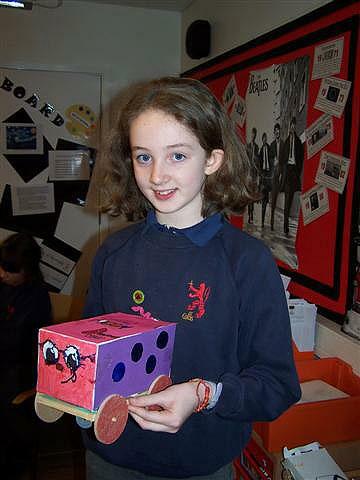 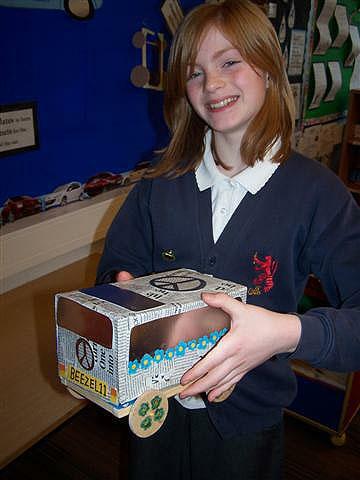 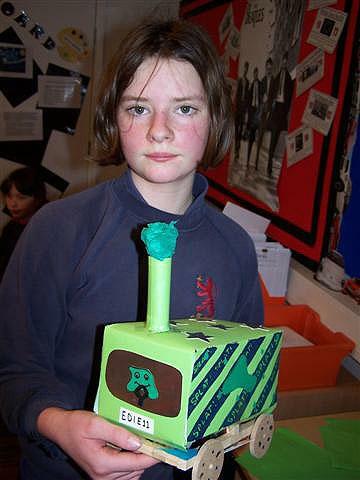 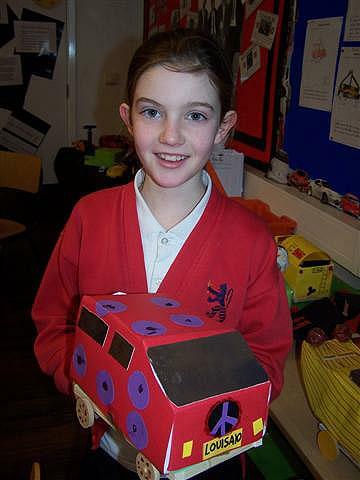 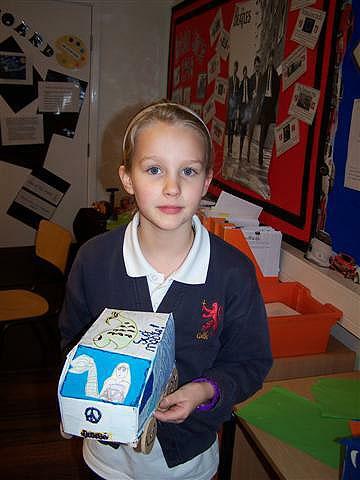 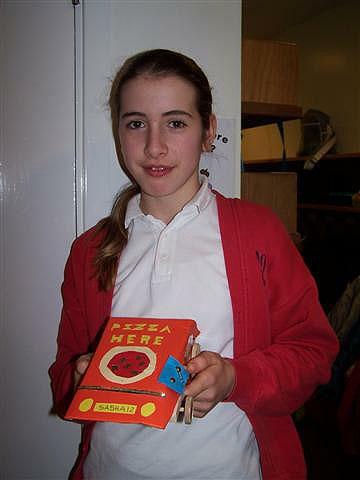 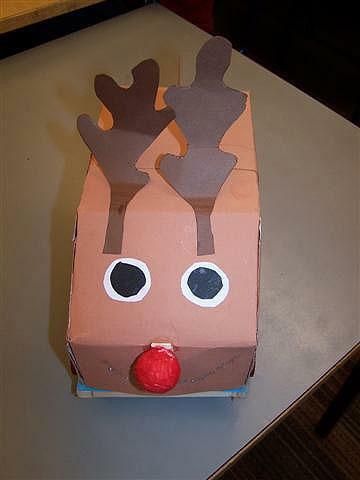 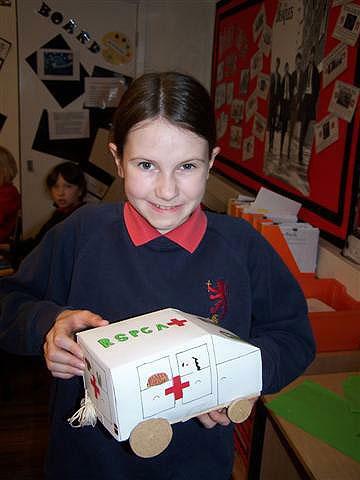 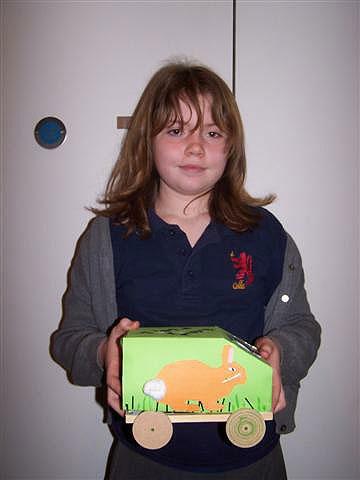 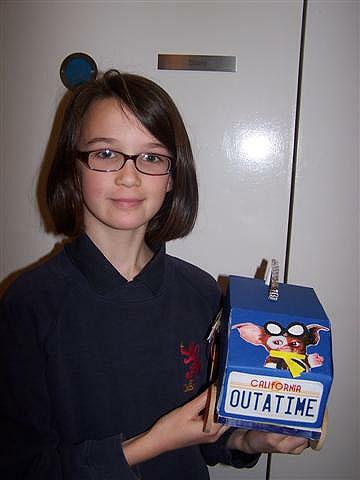 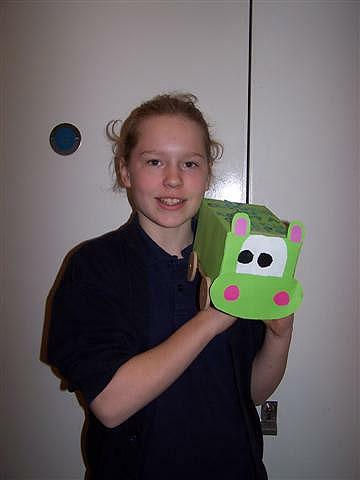 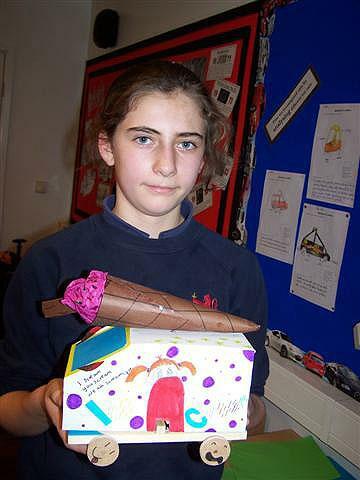 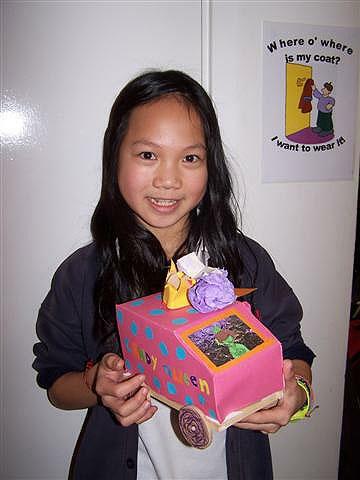 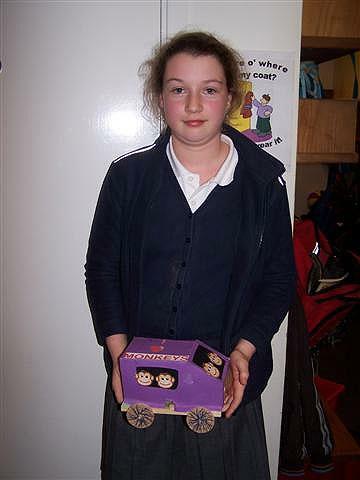 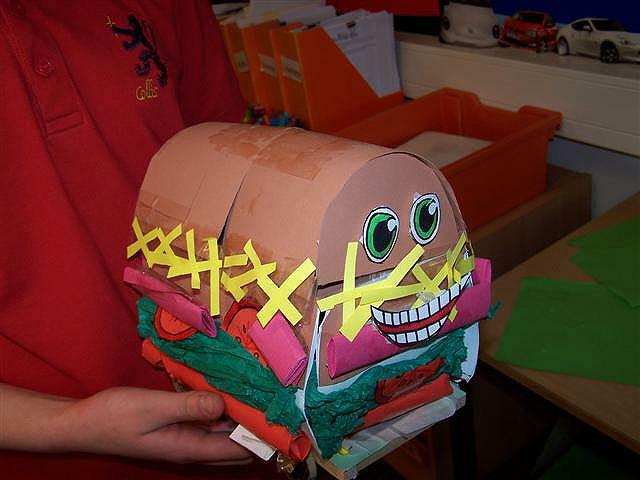 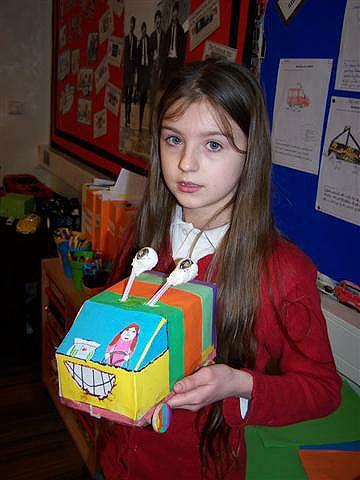 3rd place Ella, (6L) came 3rd place with a car that had wavy hair coming out the side . 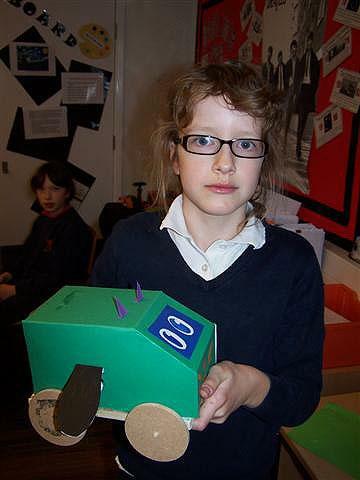 She did say that it was very slow at the beginning and gradually sped up. 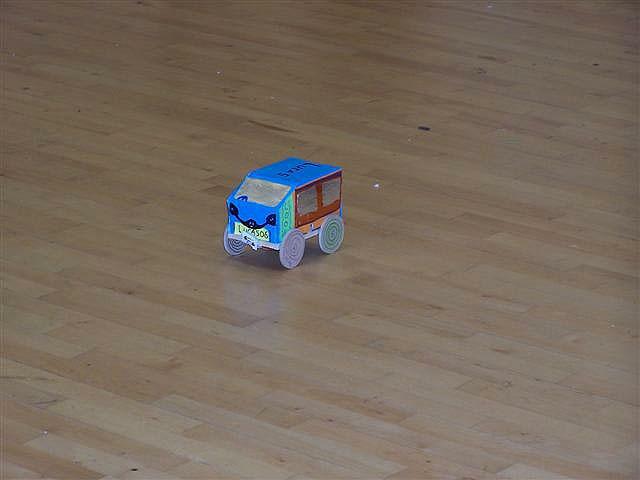 So the race came to an end and every body left the hall after a long day of racing. 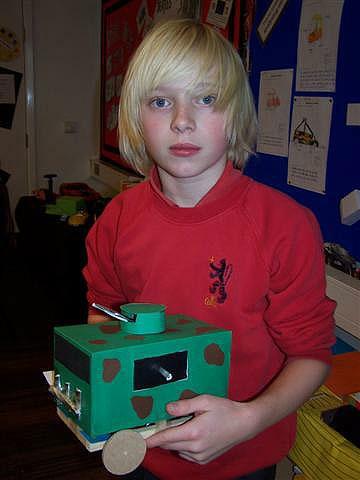 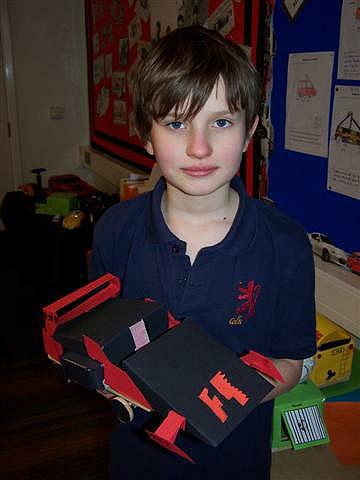 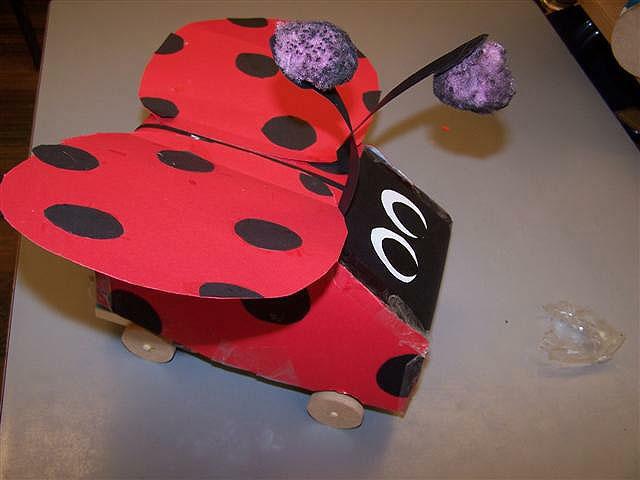 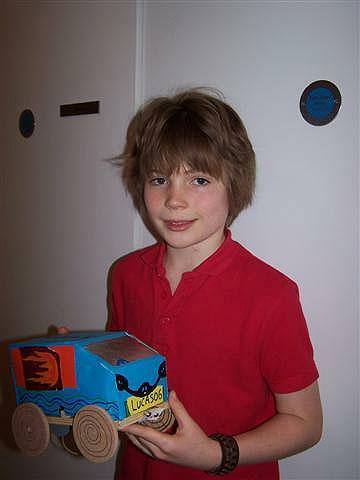 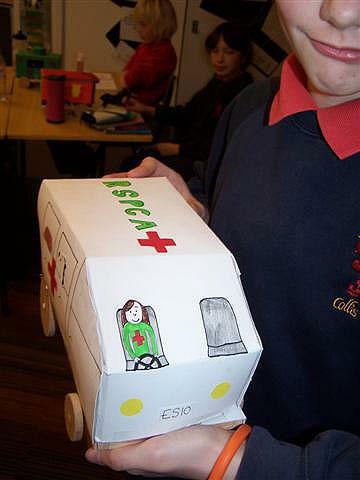 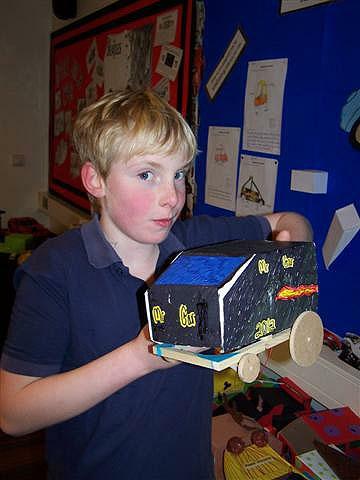 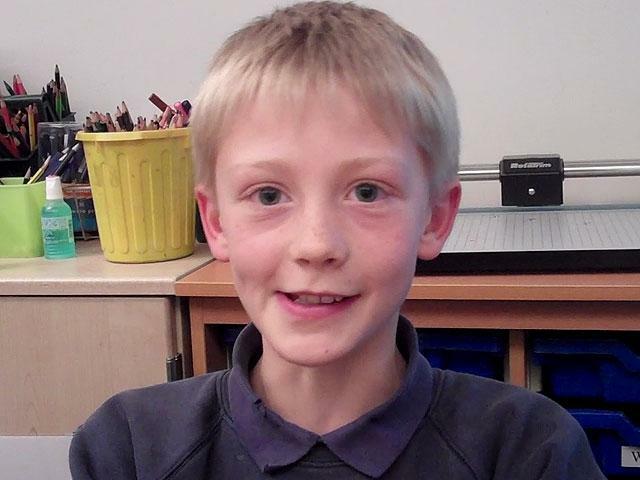 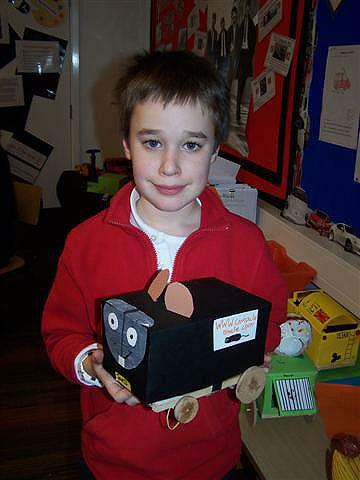 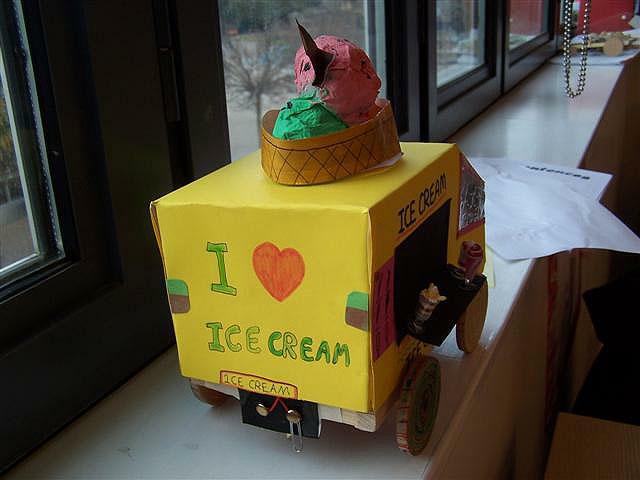 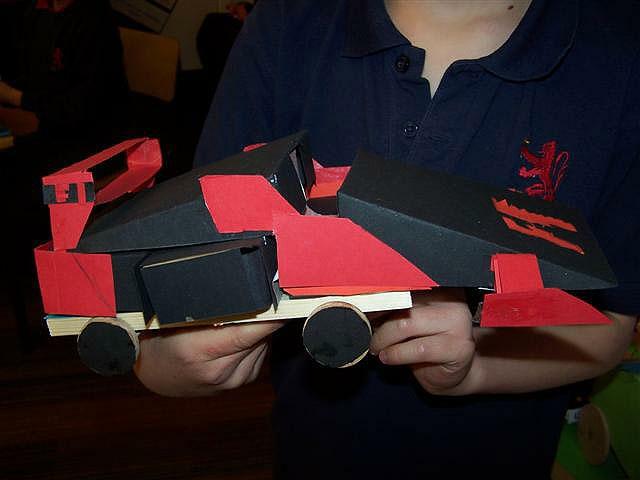 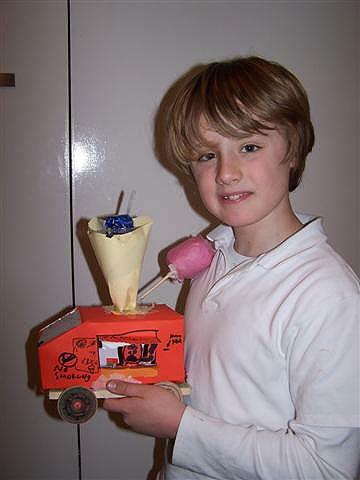 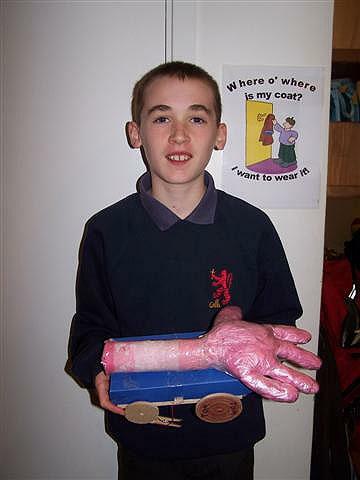 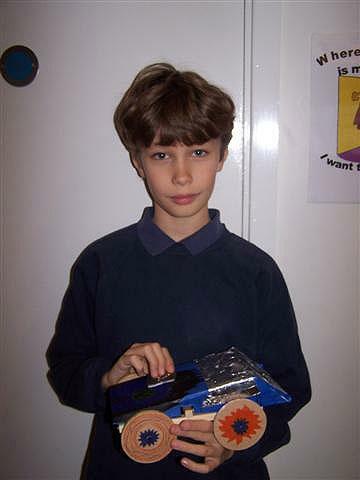 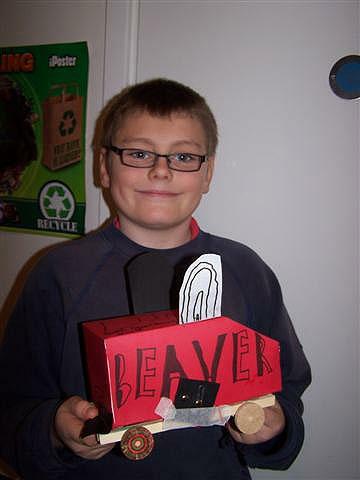 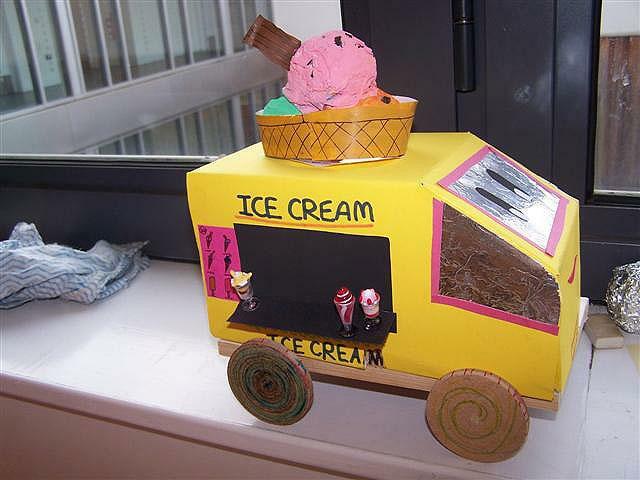 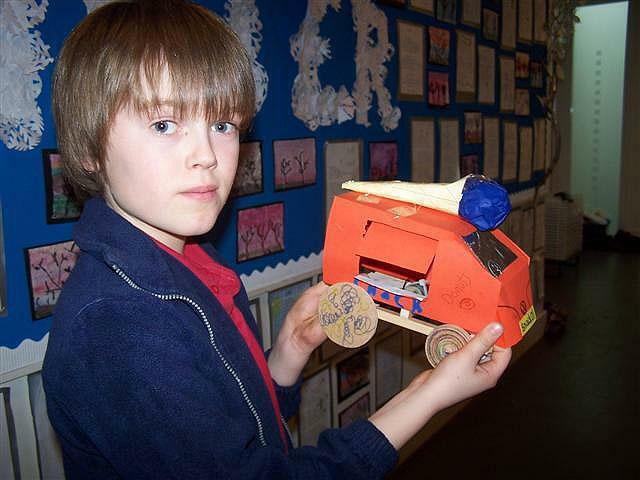 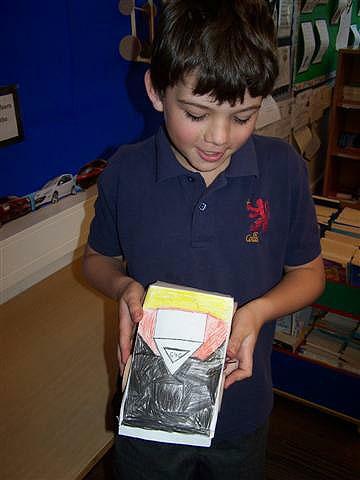 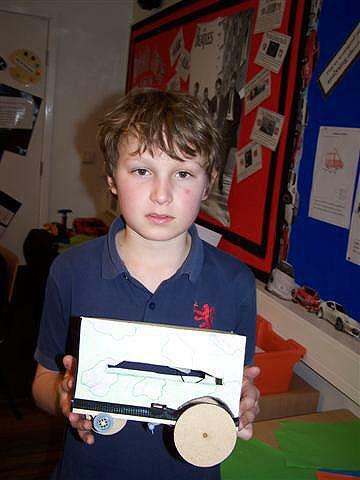 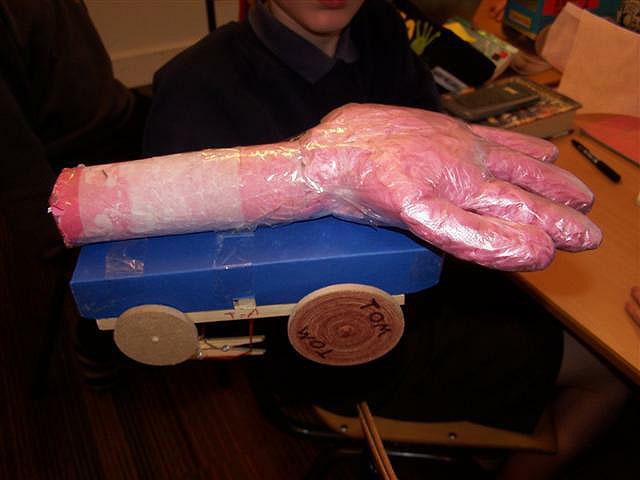 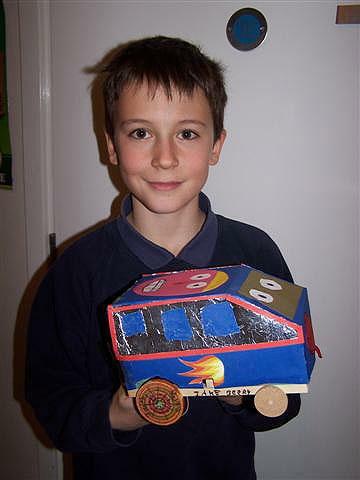 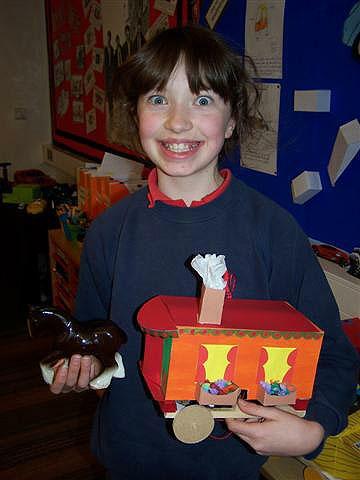 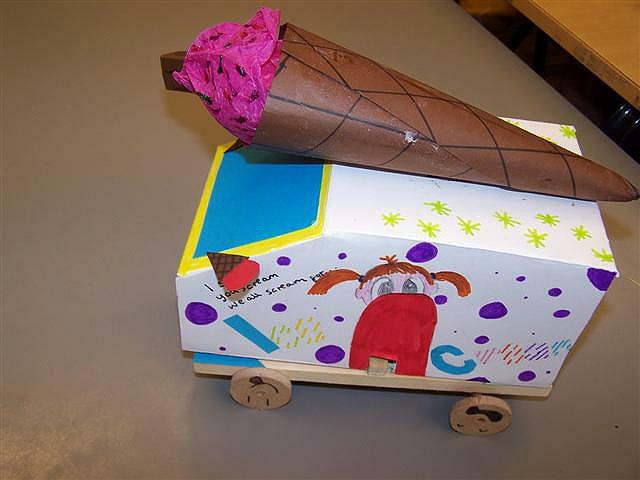 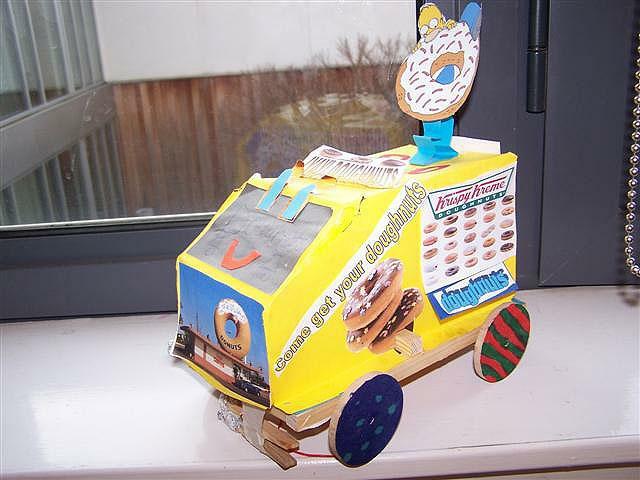 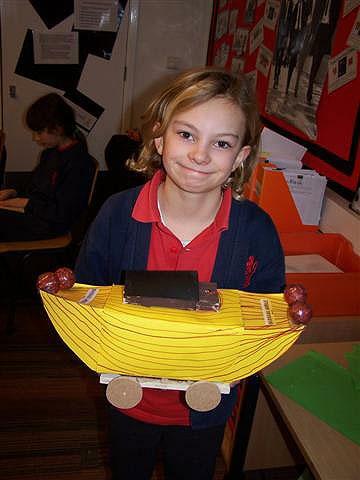 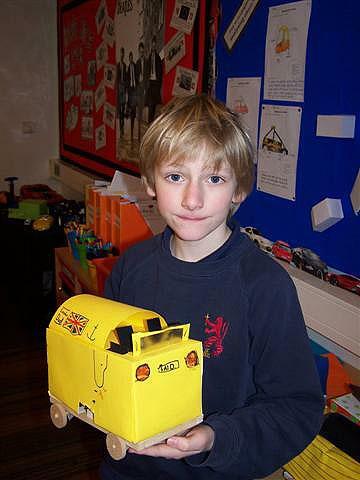 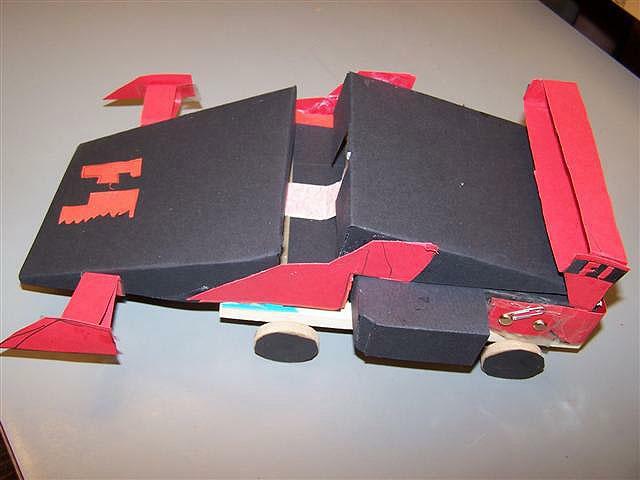 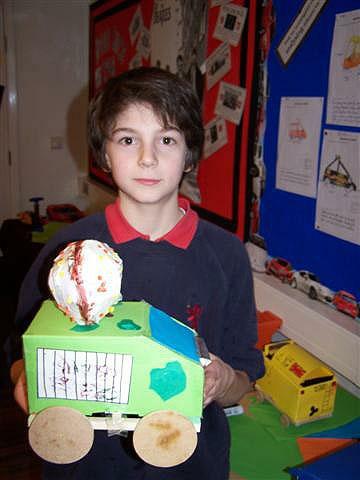 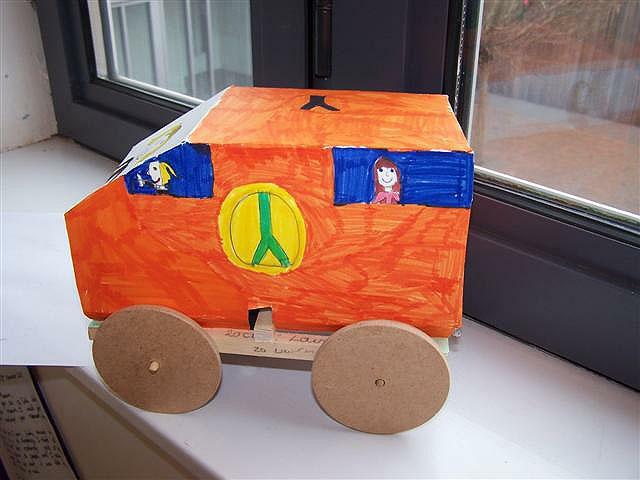 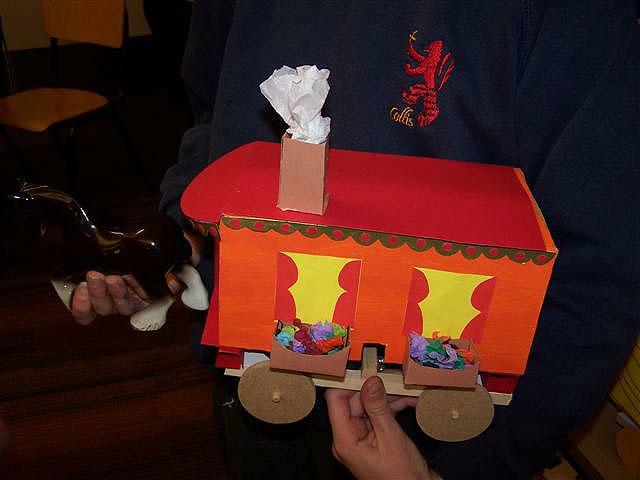 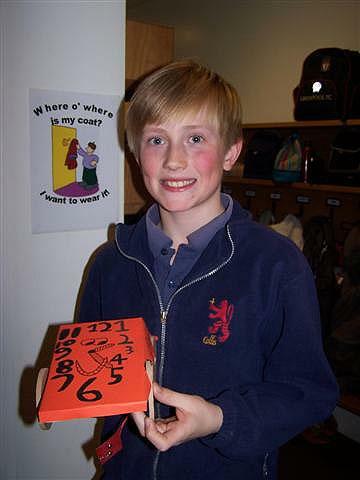 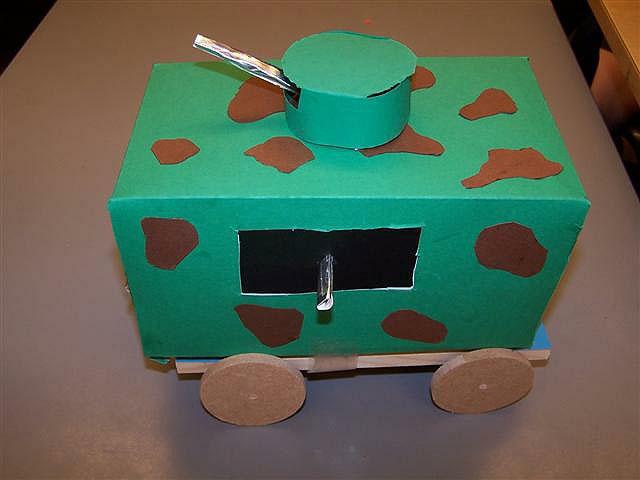 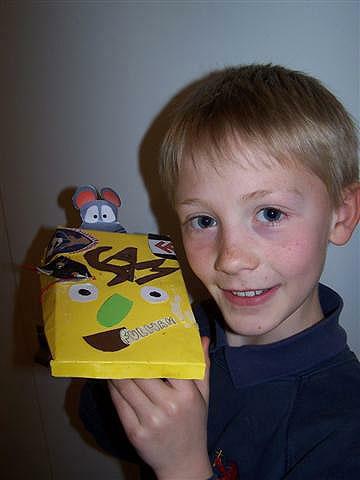 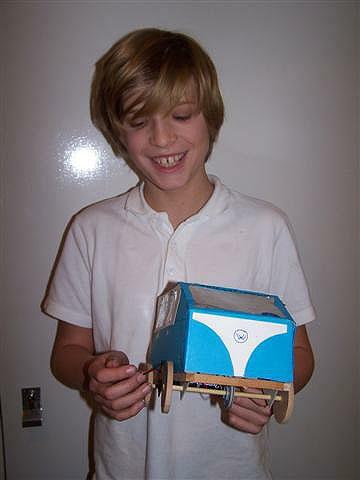 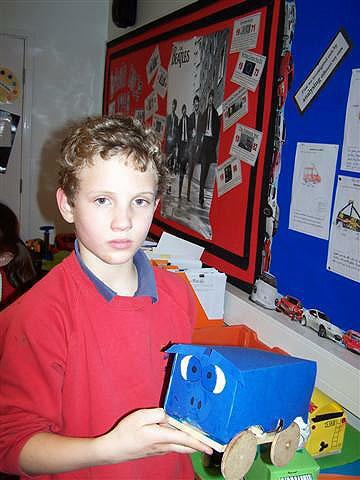 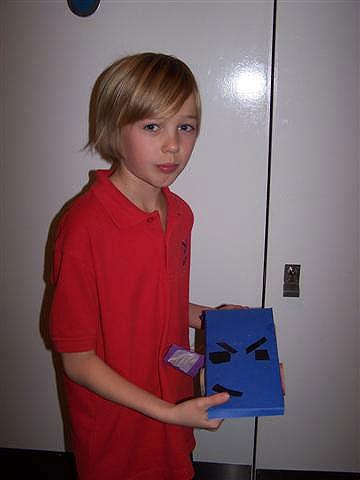 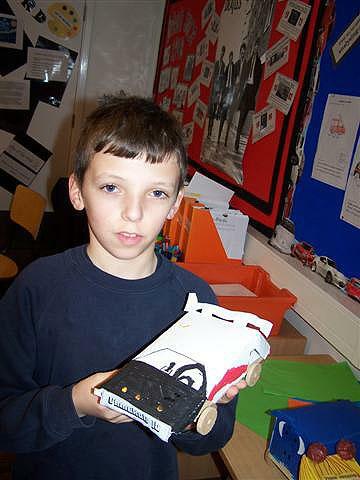 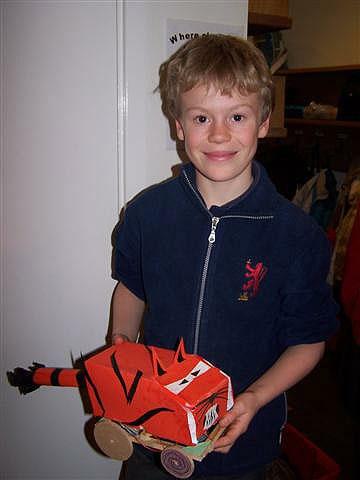 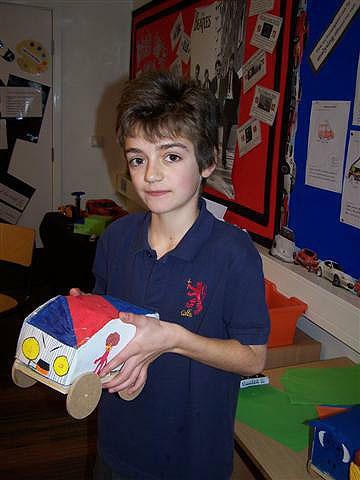 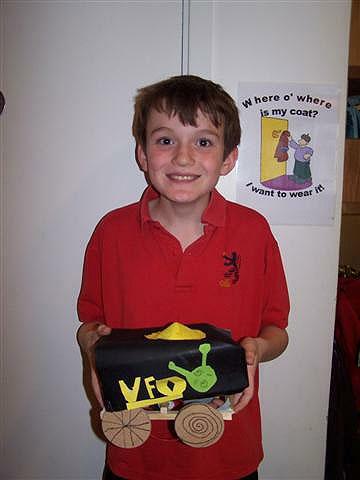 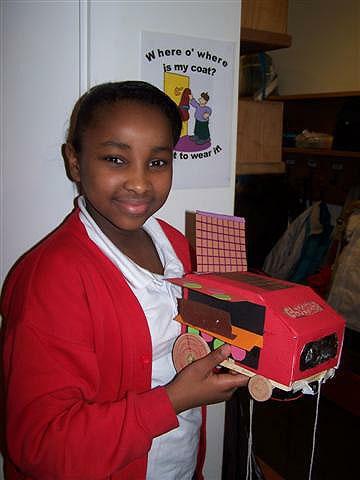 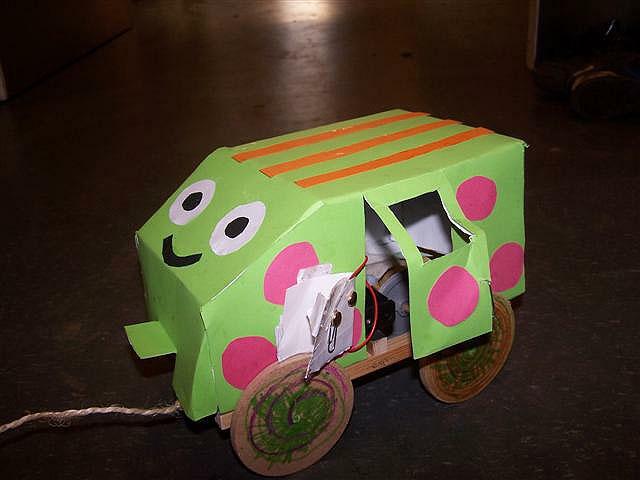 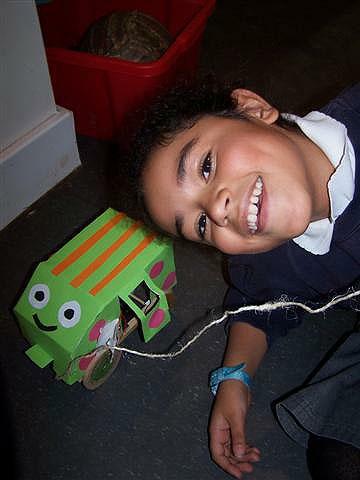 So, the year 6 D&T project came to an end and children finally took there cars home. 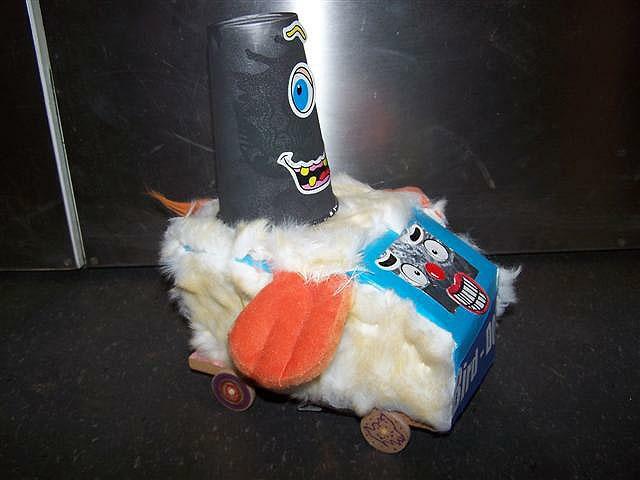 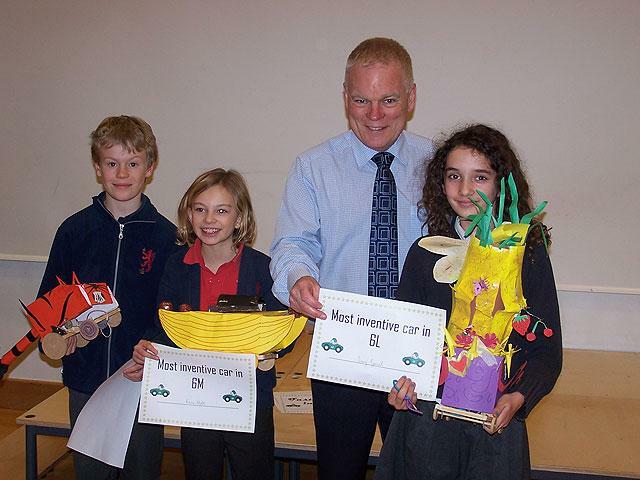 The most inventive car award winners.